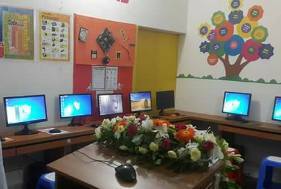 The Averroes International School ICT Lab successfully starts its journey through the inauguration ceremony. Esteemed guests attended the event, honorable teachers and diligent students on August 13, 2017 at 9.30 am. The chief guest was Mr. Anisur Rahman Shohagh, Managing Director & CEO of AIS & the special guest was Gulam Mustafa, Finance Director of AIS. After cutting the symbolic ribbon the ceremony participants acquainted with the AIS administrative building. The computer lab was designed and built by the IT Department of AIS. Featuring 20 personal computers and, the lab has a number of new features to improve both the student learning experience and the aesthetics of the facility. When used as a classroom, flat screen monitors positioned throughout the room will display information from the teacher’s computer. To reduce clutter and manage cords, the room has a raised floor to contain wiring. All 20-computer stations are fitted with individual sitting and attractive, spacious work areas. New laser and ink jet printers are conveniently located in the room. 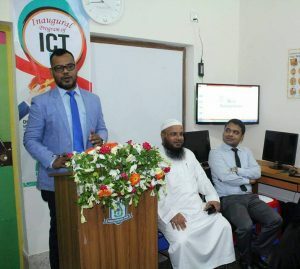 The honorable chief guest Mr. Anisur Rahman Shohagh mentioned at his speech that, as a result of successful farsighted policy started by this modern ICT Lab and continuing by students various activities. 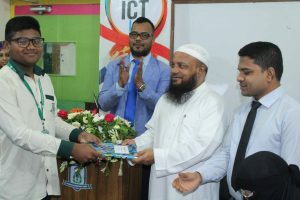 He said computer education has been one of the most important needs in today’s world. To be more efficient and competitive in today’s scenario one must learn ICT education. So incorporating this fact, the student from grade 2 to A Level will be studying ICT as a compulsory subject. After his speech he presented a power point presentation, which was more effective & enjoyable. Then he performed a Quiz program with Class Eight students in two sessions, one for the girls and another for the boys. One girl & one boy have gotten two prizes for answering highest quizzes. 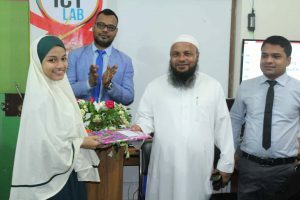 In this year, rapid development of AIS like launching modern ICT Lab, hiring highly qualified experienced teachers and working for Science Lab, Rich Library and expansion of the national & international communications in the area of education are making the AIS one of the best school in Bangladesh.